Find the best price forMouth and Tongue Let's Have Some Fun! Learning new facial expressions and mouth movements can be great fun, just ask Sam! Moving the tongue and mouth in different ways is an effective way of strengthening facial muscles, teaching children about emotions and encouraging speech. Children will love copying Sam and Timmy Tongue's silly faces and improve their facial strength and dexterity in the process. This simple picture book will be an invaluable resource for any parent, teacher or professional looking to encourage children to talk and laugh by making funny facial expressions. 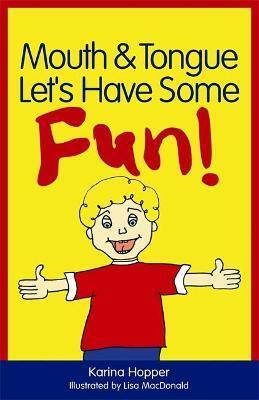 Compare New Book Prices for Mouth and Tongue Let's Have Some Fun!